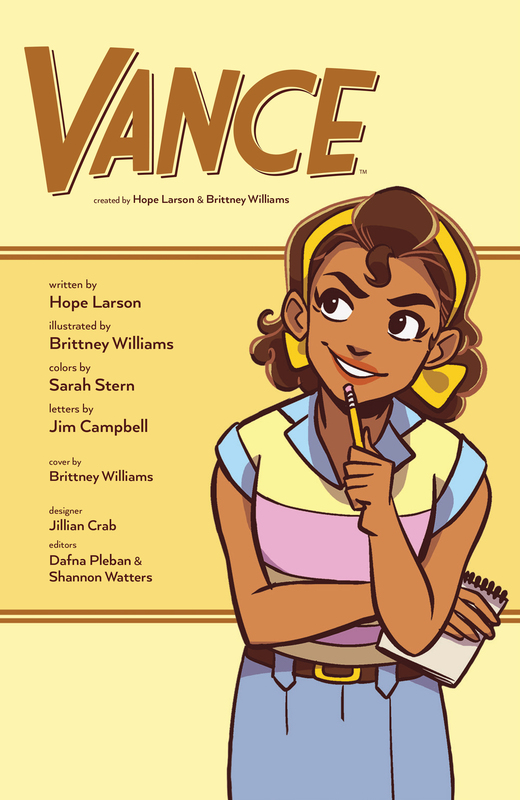 From Nancy Drew to Veronica Mars, we really dig girl detectives! 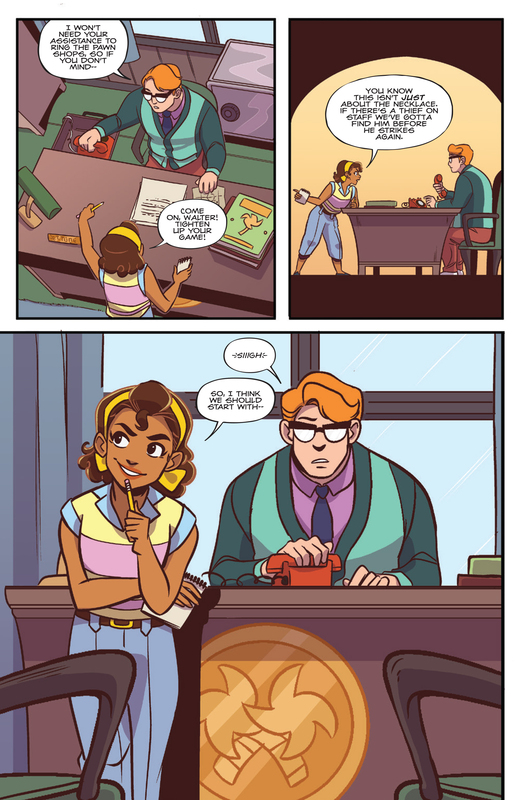 Eisner award-winning writer Hope Larson (Batgirl) and Brittney Williams (Patsy Walker, A.K.A Hellcat!) 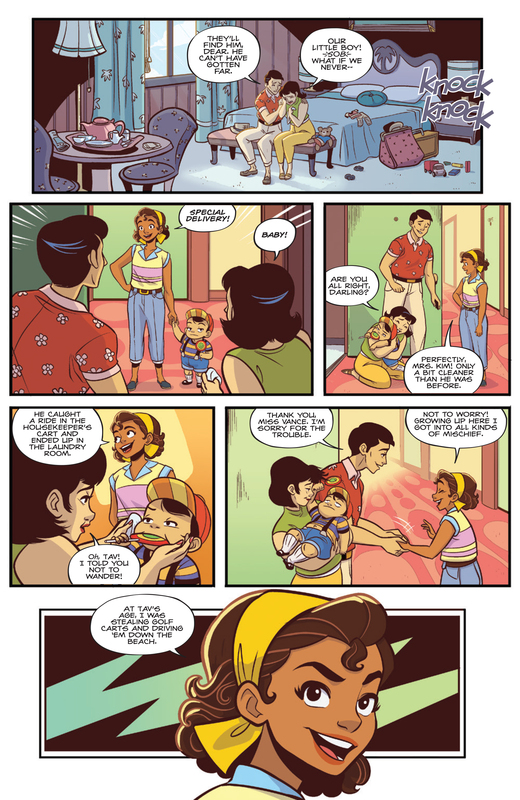 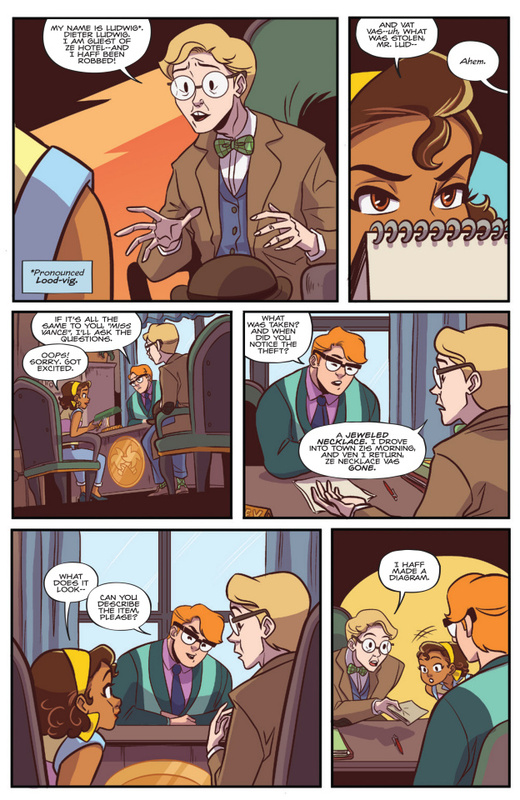 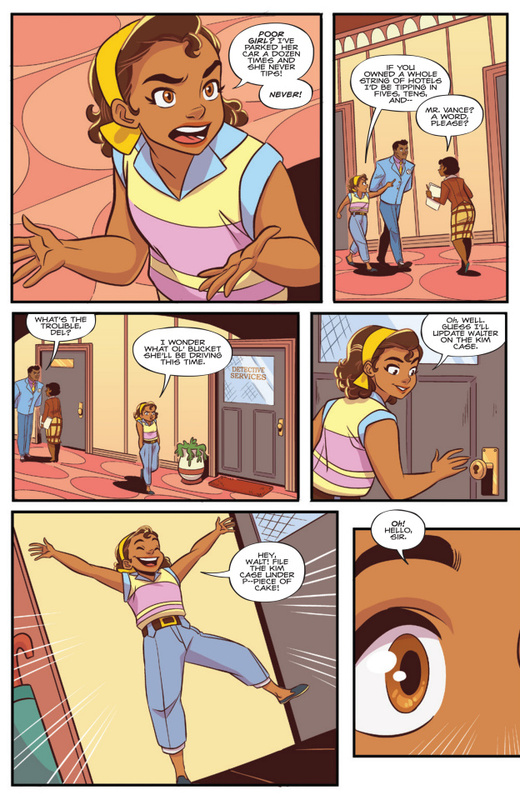 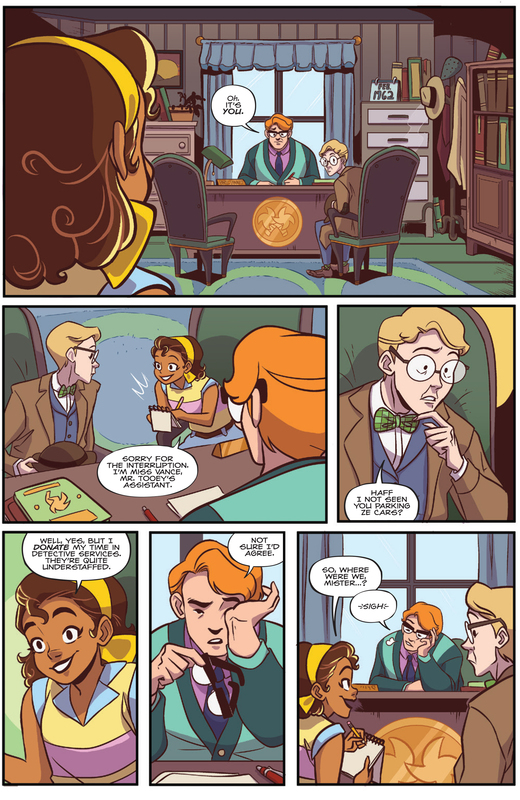 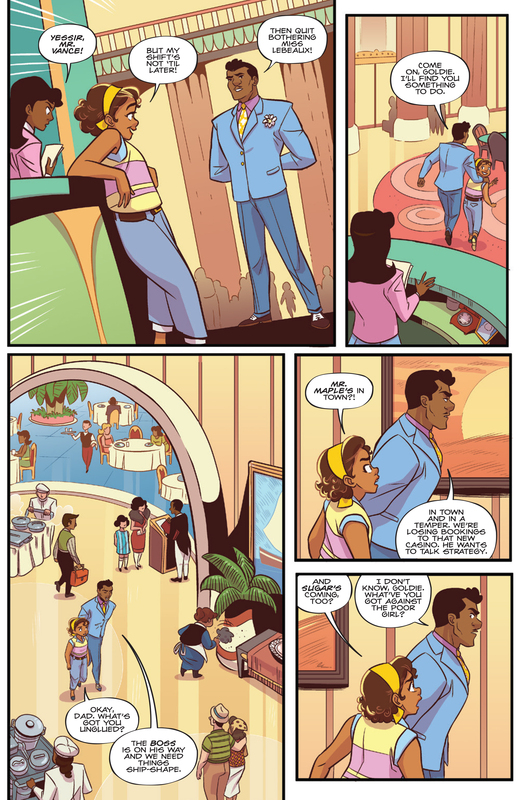 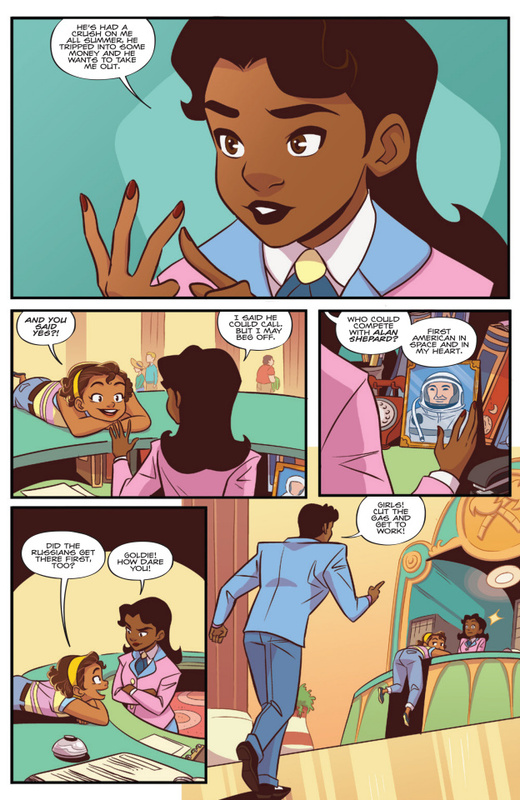 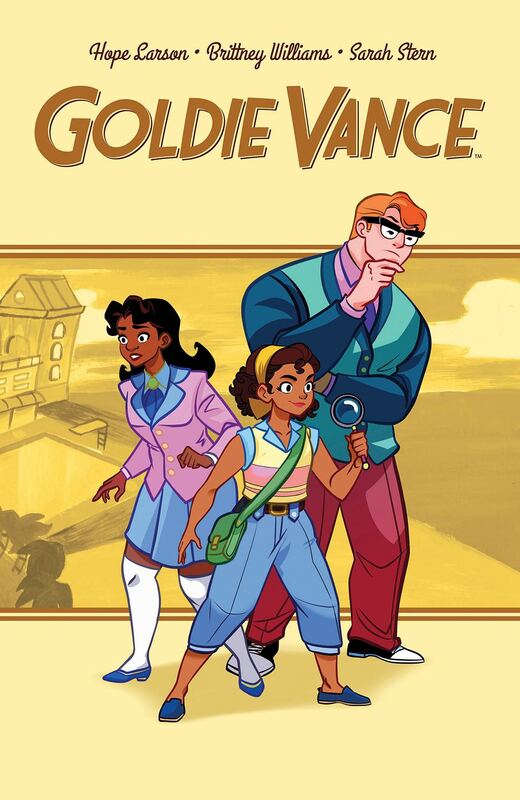 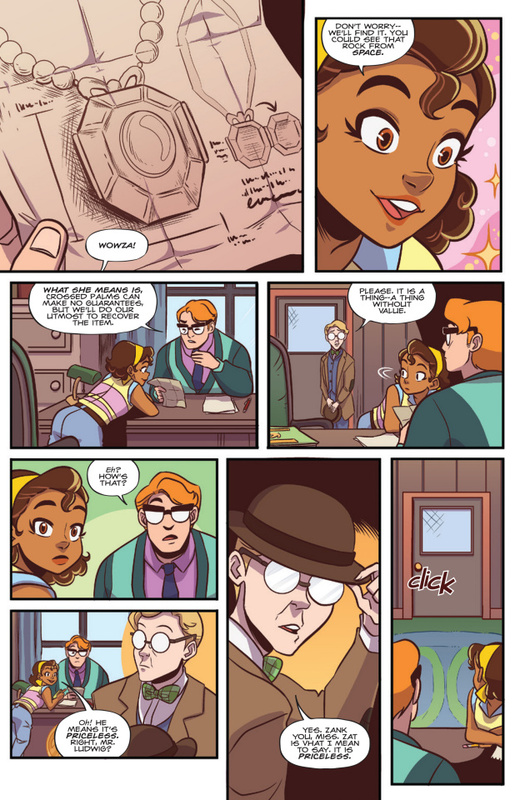 present the newest gal sleuth on the block with Goldie Vance, an exciting, whodunnit? 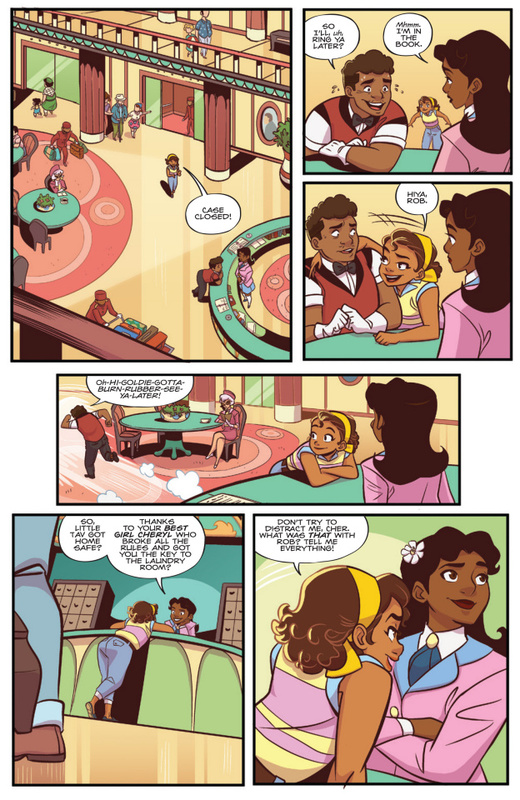 adventure that mixes the fun of Eloise with the charm of Lumberjanes. 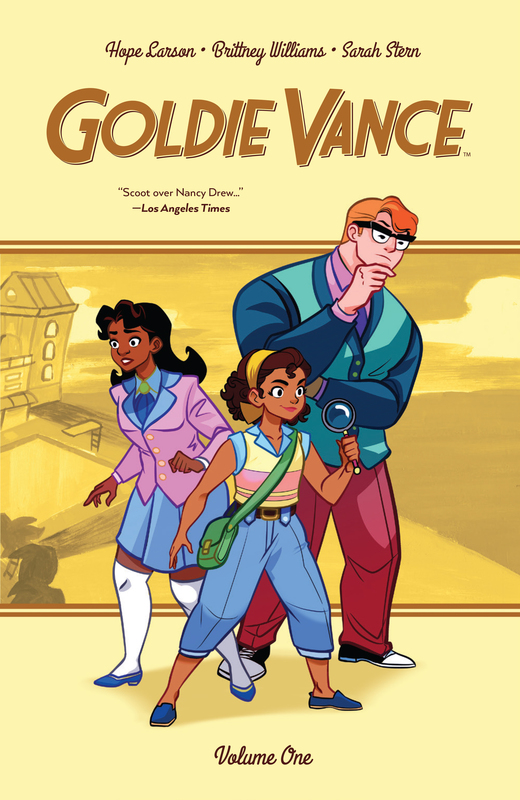 16-year-old Marigold "Goldie" Vance lives at a Florida resort with her dad, who manages the place, and dreams to one day become the hotel's in-house detective. 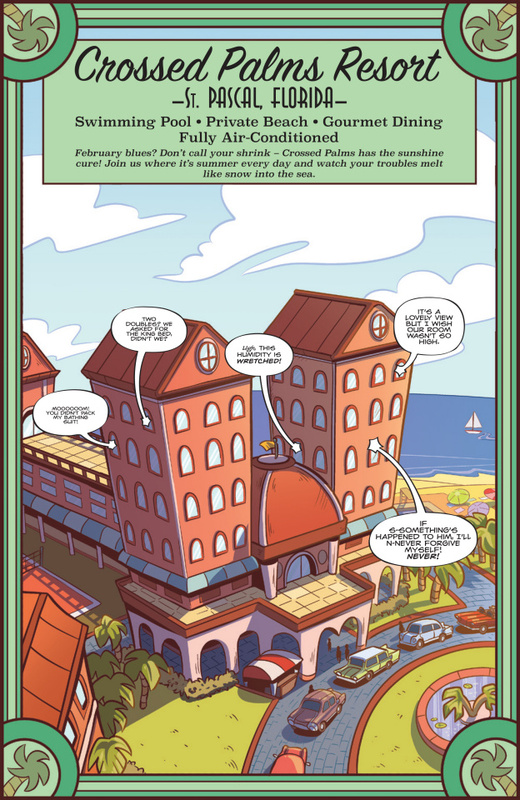 When Walter, the current detective, encounters a case he can't crack, he agrees to mentor Goldie in exchange for her help solving the mystery utilizing her smarts, random skills, and connections with the hotel staff and various folks in town.